Dirk Pitt discovered the priceless bones of Peking Man in Clive Cussler’s thriller Flood Tide (Simon & Schuster 1997) while rescuing thousands of illegal immigrants who were abused by a devious Chinese smuggler. Although the discovery of these bones millions of years old was fiction, French divers from Cayeux de Mer think they can find them on an expedition planned for next summer. The quest for the bones, some Pearl Harbor intrigue and two sunken ships have created a scenario dubbed, “the Chinese connection.” Toss in the possibility that one of the wrecks holds $50 million in gold ingots and uncut diamonds and you have the ingredients of a story line that goes back three million years. 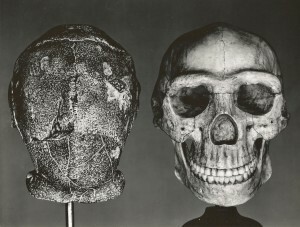 In 1927, David Black, a Canadian skeletal fossils scholar, announced from China the discovery of some of the remains of Sinanthropus Pekinensis, three million year old Peking Man. The digging at Chow Kou Tien continued with financial support from Peking Union Medical College and the Rockefeller Foundation. Two years later, in a lull for political supremacy among Chinese warlords, German Professor Berger Bohlin found a nearly complete skull, firmly establishing the identity of the long lost Chinese connection to Peking Man. Other skulls, teeth and bones were assembled, representing at least 40 individuals, all of whom lived millions of years ago. These are like the crown jewels of the Orient…the missing link between man and ape and paramount to the Chinese affinity for ancestor worship. In 1937, Japanese hostilities brought the digging to a halt, but by then scientists had classified the largest collection of a single fossil population of hominids. By 1941, Japanese military presence became ominous and Professor Franz Wiedenreich of the Cenozoic Research Laboratory suggested the valuable bones be removed to a safer place. Chinese officials agreed they should be transported to America for safe keeping. Packed in U.S. Marine Corps footlockers, the bones were scheduled to leave China for the Philippines aboard the SS President Harrison on December 8, the day after war was declared on Japan. But the ship ran aground at the mouth of the Yangtze River and was captured by the Japanese who used their newly claimed prize as a transport vessel. Renamed Kachidoki Maru, it was sunk in the China Sea by a U.S. submarine and the mystery of the missing bones was launched. As years passed, the question lingered: Were the footlockers containing the bones removed from the President Harrison or did they go down with the Kachidoki Maru? In 1972, Christopher Janus, a retired Chicago businessman with ties to the Orient, was asked by Chinese government officials to conduct a search for the elusive bones. Janus searched for eight years throughout China, Japan, Greece, Russia, the Philippines and the United States. On “hot tips” from former U.S. Marines, he searched in Pearl Harbor and a pre-WWII mission in Peking. He found a clue near the mission that led him to the Awa Maru, a hospital ship that was supposed to be safe from enemy attack. But it was sunk in 1945 by a U.S. submarine captain who mistook it for a destroyer. 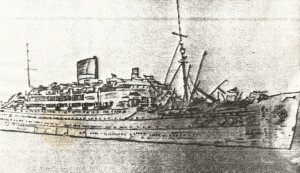 Kantor Shimoda, a steward and survivor of the attack, confessed in court the presence of guns, ammunition and other contraband aboard the ship including “containers that resembled trunks.” The vessel was also purportedly carrying $50 million worth of gold ingots and uncut industrial diamonds. Investors have come out of the woodwork for years, most of them conducting worldwide salvage expeditions to the Awa Maru and the Kachidoki Maru. Some disbanded when they ran into political, military and possession issues. Others ran out of money. Now French salvors plan to dive both wrecks in hopes of finding the bones of Peking Man. If the gold and diamonds happen to turn up, it would be icing on the cake. C’est la vie! Bon chance! Hi Professor, I once heard that the bones had been taken out of Japan in 1942 or 1943 to a bunker on the island of Shumshu in the Kuril islands where they remain to this day. More than likley this was just another legend thought up to add mystery to the story. I’ ll try to get more info but it was in an old NatGeo article from the fifties and it got thrown away last year. I might be able to get some info from the website. After reading your article about the search for the bones of Peking Man, I purchased a copy of Clive Cussler’s Flood Tide and found it very exciting. Thank you for writing about it and bringing this to my attention! I suggest you read this article from the NSA that pretty much debunks the chances of anything of value being found on the Awa Maru. The wreck was already extensively salvaged by China 30 years ago. 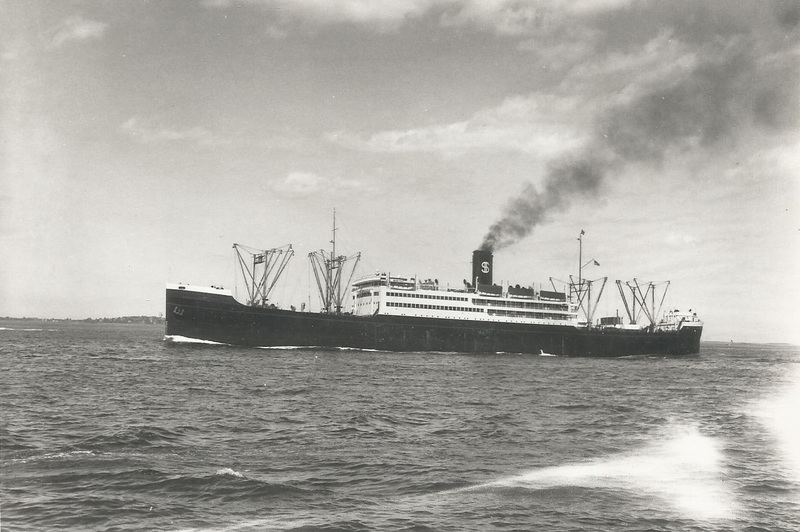 Several readers have expressed a renewed interest in the Awa Maru. Jeff Scott’s correspondence here is outstanding. It has just about everything you might want to know about the Awa Maru, including attempts to salvage the purported “treasure” aboard the vessel. Sunk in the Straits of Taiwan, in waters claimed by the People’s Republic of China, the wreck probably will never see any foreign divers again. China appears to be through with it, having come up empty handed from extensive salvage operations. I doubt they would give anybody else salvage rights to try again. The only indication that “Peking man” bones may be aboard Awa Maru when she was torpedoed in WWII was that she had loaded in Singapore and that the bones were last known to be in Singapore during that same week and then they vanished. The Chinese spent three years salvaging the wreck and would have known of the rumour. They would not have finished salvaging if they had not got everything they wanted from the wrecksite. 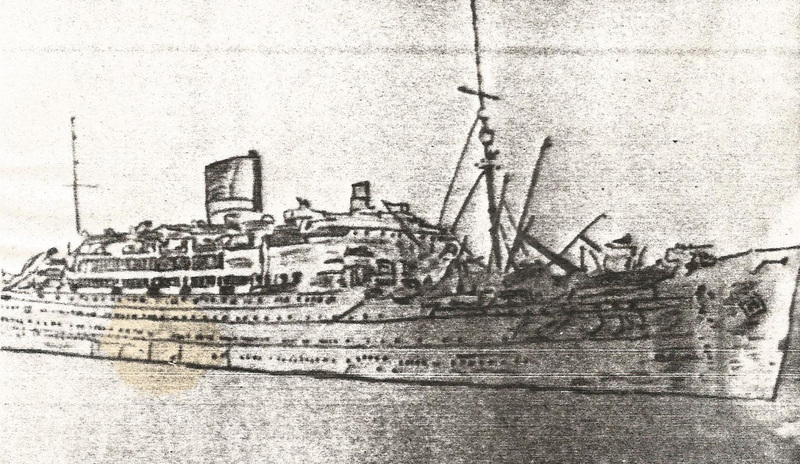 Although Awa Maru was sunk by mistake, she was not marked correctly as a Hospital Ship, as per Geneva /Hague convention X. AWA MARU had two white crosses on her hull and no marking on her funnel. If she had had red crosses she may not have been torpedoed. How can I Show the picture?